Thank you for your time today and please return tomorrow for color number three. We are currently offering a simple 5% discount off any course for anyone who likes us on Facebook. All it take is a click of the mouse and that discount is yours and can be used whenever you want. Like Us on Facebook today, just click here or Click on the like us box on the right hand side of the page. We also offer other discounts, please click here to check them out. Details of the Fresh Korean Institute’s Korean Language Courses are now available! Are you interested in studying Korean? 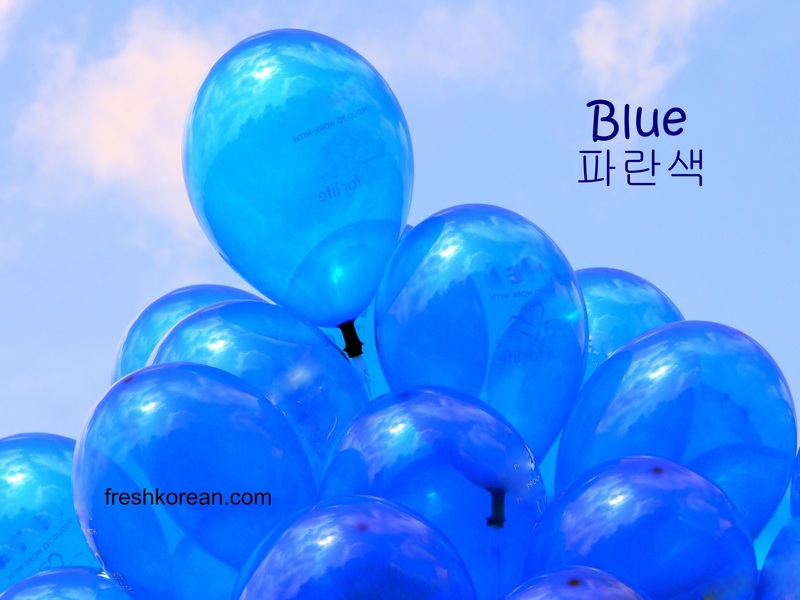 If so why not consider take a course at the Fresh Korean Institute, we are currently offering both private and private group classes in Western Seoul, Incheon and Bucheon. Click here for more information on our locations. Also key an eye out for our free Korean Resources which will be posted here soon, plus our daily Fresh Korean Word of the Day. Thank you for your time and good luck studying Korean!